Public Servants – TELL YOUR STORY! If you have followed my first two quarterly columns, I have left little doubt that my mission and passion for future public sector employees is to infuse an element of entrepreneurism into their everyday mode of operation. However, when we consider this quarter’s topic “From Academia to the Agency: Leaving the Classroom to Learn First Hand,” I believe it is column critical for public servants to share their experiences and recommendations. This opening segment will hopefully get a smile from many. In the movie “Escanaba in the Moonlight,” one of my favorite lines is, “When you don’t know where to start…you should go back to the beginning.” Well as I consider my journey from college to the workplace, I must go back to my beginnings and reflect on a very important public sector employment point. When I received my bachelor’s degree from Central Michigan University with a political science major and history Minor, I will admit I had NO idea what I was qualified to do and where to apply my four years of coursework. When I decided to apply to a regional community action agency for the position of adjudicated youth /dropout prevention counselor, I really did not know my professional “fit” for the position. I was lucky enough to get the counselor position and for the next year, I embarked on a tremendous eye-opening trip into work and career opportunities in the public and private nonprofit arena—right in my own backyard. – City or county managers. – Police and armed services. – County, state and federal workers. – Employment or business service specialist. – Ag-Partnerships unlimited project leader. This is a small sample of entry-level and career positions that are partially funded with public dollars. A second point that speaks to this topic is the reality that the public is a very challenging “customer.” Think about it. No two people are the same and no two public service situations, projects or conflicts are the same. Yet, it is the public servant that must determine which solutions serve the greatest public good. We have all read about the city manager who has created a business-blending initiative in his/her downtown area that has resulted in a public-private “home run.” We have also experienced the public project that was driven by good intentions, but resulted in wasted tax dollars and is a public “eye-sore.” The answer? Understand that perfection will never be the outcome in the world of public service employment. Rather pick a plan that will create and show continuous improvement in whatever situation you are in and then go forward with your best efforts. Next, it is valuable to point out that when you consider transitioning from college to a job in public service, you will find that your classroom discussions are applicable to daily fieldwork. Whether you are involved in public finance, government operations or politics, much of your course learning will contribute to your actions. With the increased impact of technology and social media on public services, the instantaneous and far-reaching exposure of a good or bad public servant activity has and will continue to “umbrella” the profession. Therefore, what may be considered appropriate or a justifiable course of public action in the classroom may be negated when cast into the light of media coverage. A fourth public sector college-to-work transition factor that was extremely helpful to me and aided in growing my capacity to perform was my identification of a mentor. In my 30-year public service career, I have had two mentors. One of my first bosses, named Fel, was a tremendous administrator. He explained the value of prioritizing what you wanted to accomplish and at the same time stressed the necessity of “watching the funding.” These areas of advice have and continue to help me emphasize the need for effectiveness and efficiency in every project I undertake. Dr. LB was (and still is) my mentor via the college classroom. He always encouraged you to think for yourself. Just because the traditional rules say a public program SHOULD be done a certain way, could there be a better way? Dr. LB was also instrumental in suggesting ways of looking at opportunities outside your comfort-zone of operation to see new partnership possibilities or fill voids in service to the public. Fortunately, I believe I have served as a mentor for colleagues and co-workers during my career. You will never know the short or long-term value of “telling-your-story” to others in the field of public service, but you must! Finally, and maybe the most important point to remember, don’t forget your roots. By this, I mean that anyone who considers public service employment has a “want to save the world” spirit. Young teachers enter the classroom with this spirit. Employment specialists believe they can help find a job for everyone. The president feels he can make the country and the world a better place. Never lose your naïve spirit. Big or small, you can make a difference every day. Borrowing concepts from Jim Collin’s book, Good To Great, a good public service worker is one who takes care of the general business assigned them. A GREAT public service worker does the regular job but never stops looking for that better way to help. One Response to Public Servants – TELL YOUR STORY! 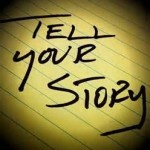 Pingback: Triple III Time: Public Servants – TELL YOUR STORY | Inspiring Innovations, Inc.